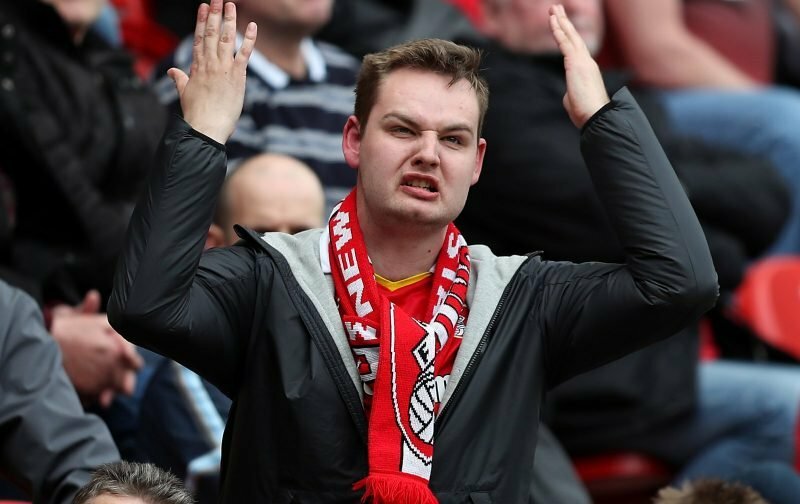 Rotherham United sit just outside the relegation zone in the Championship with a defeat at home at the weekend seemingly to have set off a number of grumbles and groans. So, as the title asks, who’s fault is it? Who is to blame for the predicament we find ourselves in. Because, make no bones about it there will be someone who is going to be blamed. I’m quite sure Manager Paul Warne will take the initial blame. After all it’s him who picks the team, him who send out to play in a way he asks them to play. But, there are others in the coaching staff to help out Warney – so perhaps they should shoulder some of that blame too. On the other hand once that whistle goes for the start of the game isn’t it the players responsibility to make sure they play well, keep each other going to right way. For me, once the game starts for at least forty-five minutes the players are on their own – they’re big boys and there is eleven of them out there. Shouldn’t they be able to see if something isn’t working and at least attempt to put it right? I’ve noticed this season that quite a few of the players are continually looking towards the bench as if for confirmation or help – I’ve even seen Will Vaulks do it before he takes a long throw. Surely if he thinks a long throw will help he shouldn’t have to have ‘permission’ from his Manager to take it? Warney isn’t one for a lot of arm waving in his technical area or screaming and shouting so I don’t actually think he is expecting to be asked questions. Is our budget too small to fetch in players that can help us move up the table. If so, then is Chairman Mr Stewart to blame. Or, maybe, we should look at ourselves, the fans, and wonder if we are to blame. I was disappointed with the way we played on Saturday – I thought we started poorly and twice were probably a little lucky to get back into the game. Did I feel like having a good old moan and groan after making the effort to get off my sick bed and go? Yes I did. Did I do it out loud? Well, to the few friends around me I had a mutter but there is no way I could scream and shout at some of the players like I heard on Saturday. I do understand that a lot of it is frustration and there will be some people who will feel ashamed of their actions but, there are those among us who also think ‘you pay your money and if you want to berate certain players then it’s OK to do so.’ I can’t say which is right and which is wrong, everyone is different. All I can say is think of the weekend that player you, is abused too strong a word (? ), has had. Think how he’s going to feel in a weeks time when he puts on the Rotherham United shirt again to face the crowd. As I say, I know it’s frustration and that to vent your anger straight away gets it out of your system. But it doesn’t help that player you’ve shouted down. It doesn’t help the team you support. Let’s hope we can all put this behind us. It was one game. Three lost points. We will lose games at home again and games where we won’t score two goals. If anything, at this time, we need to unite and we all need to get behind the team, the management, the owners. It’s usual for a blame culture to develop when things are not going to plan. The frustration builds and the pre match optimism sinks as the game progresses. We should recognise this easily as a Miller as we’ve seen it all before. At the start of the season there’s the marketing hype of how this time it will be different quotes from Mr Stewart that we’ve learned the lessons and predictions of consolidation in the new Championship. The season ticket count hits the magic number and we bring in basement players hoping to turn ‘coal to diamonds’. Why are we surprised to be fighting for survival again. Nothing has changed!!! The fact is for any business to prosper it has to have finances to suit the market , equipment fit for purpose and a quality product to support repeat business. When applied to our beloved RUFC we can see we don’t have finances to suit our current market, we don’t have the equipment in Championship players ( stadium excepted) we can’t produce the quality product in this market (Championship) hence attendances fall. The Club will find its level based on these facts but sadly without a money making machine or another wealthy investor it won’t be the Championship. There’s a classic failure model jus down the road at Chesterfield. Hopefully Mr Stewart’s business acumen will prevent any such fall for the Millers. UTM. Who is to blame! That’s the sixty four thousand dollar question, Its the same old story as far as Rotherham United are concerned, Chairman Tony Stewart conning the supporters with we have a competitive budget, am sick of hearing this cigar chomping clown along with Mr good guy all round calamity Paul Warne and is only good human beings band of brothers mentality and what a great team spirit he as, obviously its not working because we cannot win a game against teams around us, Bolton, Ipswich and take the game against Brentford just chasing shadows or running around like headless chickens, and why the abuse from certain fans towards the lad zak vyner who didn’t do anything wrong he is just woefully exposed in a shockingly poor team, Mr calamity and is band of coaching staff must carry the can for loss after loss in yet another depressing season, Thanks for the memories Mr calamity but its time for a fresh leader for next seasons league one campaign, you never no we might actually win a game or two. Some really interesting points made – thank you everyone. I also wonder why we don’t seem to start well, especially at home. Why we aren’t taking our chances is another one I scratch my head at. Unfortunately, losing becomes a habit and I feel it’s a habit we’ve got into and don’t seem how to get out of it. We also don’t seem to be able to change things when they aren’t working. As is stated above wingers should be dashing down the wing and getting balls into the area every time not just one in three times. Then again, there should be someone in the box when the ball gets there to have a chance to put the ball into the net – with just one up front this isn’t going to happen very often.